The Pro Tango U2 EX starts with all of the quality and features of the Pro Tango U2, then doubles run time to a class leading 4 hrs. on high and an unbelievable 12 hrs. on low. Simply amazing. Pro Tango U2 EX runs on two 18650 batteries. Choose a package with 2 or 4 Extended or Ultra Capacity batteries and dual AC charger or dual AC/DC charger. The flashlight does not come with batteries or charger unless you add a package below. SMO gives tighter focus center beam and increased beam distance. This is a durable and protective padded ballistic nylon holster custom made for all dual battery MF Tactical Pro Tango and Victor Series EX models. 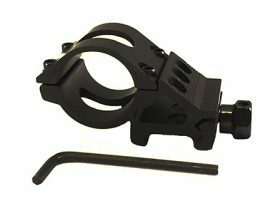 45 Degree Offset Gun Mount allows you to mount your MF Tactical Flashlight to a Pickatinny or Weaver rail system. Red and Green Filter Adapter Package for all MF Tactical Echo v.2, Juno and Pro Tango Series flashlights. 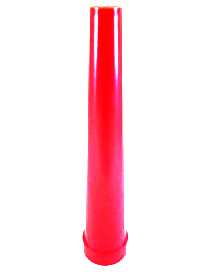 Red Traffic Wand diffuser for all Pro Tango, Echo v.2 and Juno Series flashlights. Remote pressure switch for Victor and Pro Tango Series. Ideal for mounted weapon lights. Functionality of tail switch is transferred to rubber squeeze pad for silent and smooth operation. 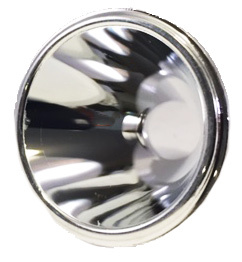 Replacement Smooth SMO Reflector for more concentrated center beam and greater throw. Fits all Echo v.2, Juno and Pro Tango Series. 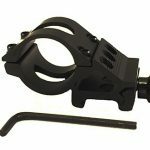 Universal Gun Mount enables you to mount any of our 1″ diameter tactical flashlights to your firearm. 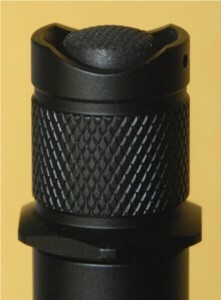 The Pro Tango Series stands out from the crowd due to MF Tactical‘s boldest and most innovative design features to date – an integrated stainless steel control dial just below the light head that enables you to select the flashlight’s mode setting without first having to cycle through all of the modes with the tail switch. Just grasp the distinctive and ergonomic control dial, and dial in the mode that you would like to use. With the dial, the light stays in the selected mode until you change the dial position. By separating out the function of the switch from that of the mode selector, you no longer have to fumble with soft clicks when you need to select a mode in a hurry. 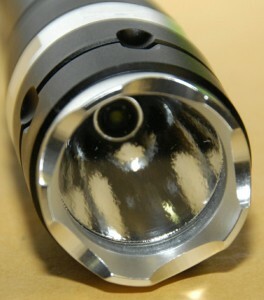 All of the lights in our Pro Tango Series incorporate, in response to the feedback from our law enforcement users, a switch with a “momentary-on function.” When you lightly press and hold the tail switch button on the Pro Tango U2 EX, you activate this impressive LED flashlight’s massively bright white beam. Let go of the button, and it immediately turns off. For clearing a building or just briefly lighting up a suspect or his car, the Pro Tango’s momentary-on function gives you the flexibility and control to expertly execute your training and tactics. Need the light to stay on, simply press the button until it clicks, and then it operates like a standard on/off switch – just click on/click off or press for momentary on – you are in complete control of your Pro Tango U2 EX. 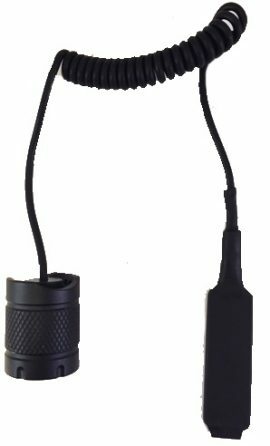 The Pro Tango U2 EX is a 5-mode light, and the control dial quickly and easily lets you switch between high, medium, low, strobe and SOS modes. And, since the control dial works independently of the momentary-on switch, you can pre-select the tactical mode you need, and then just press the button to activate the light in whichever mode you have pre-selected. Simple, elegant and effective! The Pro Tango U2 EX is also made with the harder and more durable, Level III military grade anodized finish so that it will always look as good as it does on the day you first place it in service. The MF Tactical Pro Tango Series, the multi-mode big brother to our Victor Series, continues the tradition of including in our design an aggressive and beautiful brushed aluminum crenelated Attack Bezel. Not only does this rich feature contribute to this light’s distinctive and high quality look and feel, but having a chunk of solid honed aluminum on the business end of your light also serves to give the user one serious last line of defense (which we hope you will never need to use). In addition to its use as a defensive tool, the Pro Tango Series’ attack bezel also protects the light from damage in the event of a drop and provides a glass breaker in the event of an emergency. 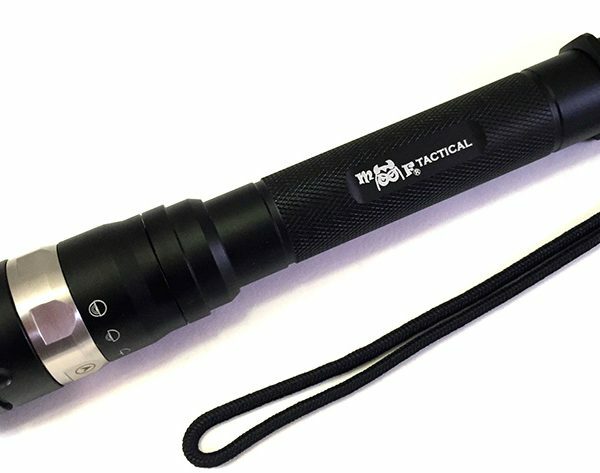 All in all, what you see on this page is a stunning and well engineered essential tool that you will trust and rely upon as your everyday carry tactical light. 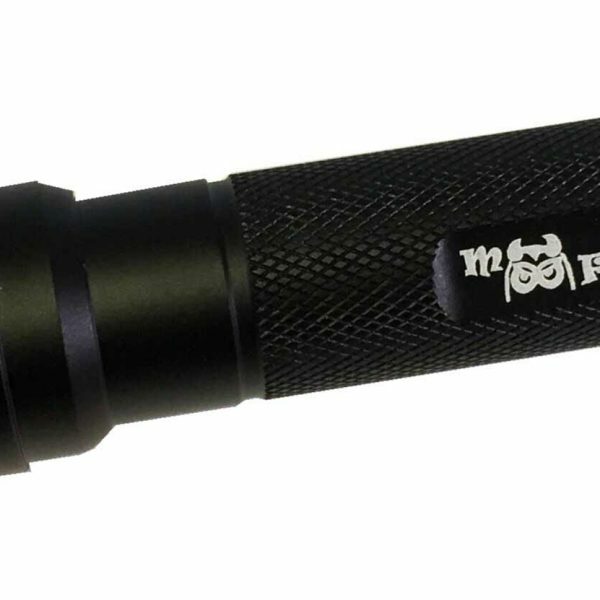 Flashlight freaks want the most current and most powerful LED’s in their tactical lights. 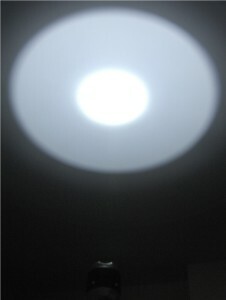 That is why we have built this flashlight around the Cree U2 LED emitter. We have no idea why a company like Mag Lite continues to use technology that is over a decade old when the emitter chips just keep getting better and better. What we do know is that because MF Tactical is a nimble and lean US manufacturer, we are able to stay flexible and open to design upgrades while we keep our eyes open for the next big LED advancement, while our larger competitors seemingly stay wedded to older technology long after it has become obsolete. As a result, we constantly improve our products and continually innovate as technology progresses. The Pro Tango U2 EX is just our latest example of what you can achieve by always seeking improvements and never resting on your laurels. The Pro Tango Series demonstrates precisely what results can be achieved by simply being motivated to do everything better and more efficiently than the other guy. Utilizing an emitter with a max output rating of 1100 lumens and being priced at about half of that charged by bigger manufacturers offering less features, the Pro Tango U2 EX represents the new standard in hand held tactical lighting designed for law enforcement. While we won’t knock the quality of our competitors, once you hold a MF Tactical in your hand, you will know that we make a light that exceeds the highest of build quality standards. And we stand behind our quality with our one year warranty. Our redesigned tail cap/switch assembly, which is now used on all Pro Tango and Victor Series lights, has an easier to operate switch with positive tactile feedback. Plus, the addition of two indents at the bottom of the tail cap now allow for easier one handed operation, as your thumb now has easier access to the recessed button. Recessing the button into the tail cap provides the added benefit of permitting the light to tail stand, which enables you to use the light as a table lamp by allowing the beam to reflect off the ceiling and light up a room. The Pro Tango U2 EX was built to run on two high voltage 18650 rechargeable protected li-ion batteries (Do NOT use CR-123A’s or any unprotected batteries). While the price shown for the flashlight is without batteries, just check the box marked “Select Battery/Charger Package” when you put this light in your shopping cart, and you can choose from a variety of packages made up of two or four of our top quality rechargeable li-ion batteries and your choice of AC or AC/DC charger, all offered with a package deal and with no additional shipping. 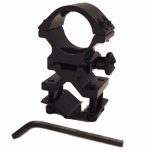 We also stock a variety of accessories, such as mounting hardware, remote pressure switches and holsters. 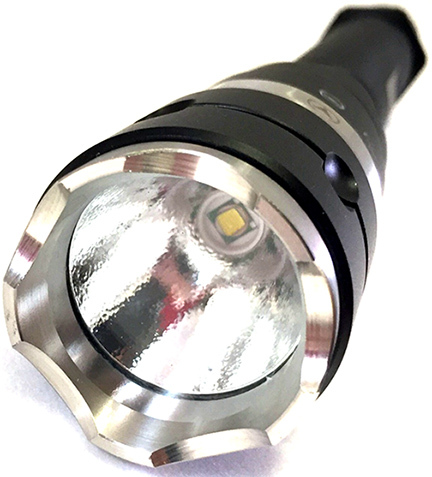 If you would like to upgrade your Pro Tango U2 EX to maximize the throw distance of this magnificent emitter, we offer the option to upgrade your reflector to a highly polished SMO smooth reflector. 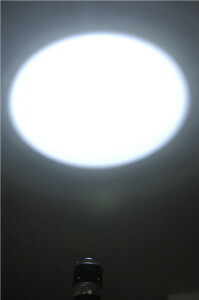 The standard OP or “orange peel” reflector has a textured surface that acts to evenly disburse the light over a wider field, which makes the light have a bias towards flood or spill. As some users prefer their light to have a bias towards throw, which concentrates more of the beam towards the center, sending more of the light farther down field, we offer the option of upgrading your light’s reflector to an SMO reflector. Think of the difference as the choice of loading your home’s light fixture with a spot light bulb vs. a flood light bulb. If you would want to maximize your light’s throw potential through the use of an SMO reflector, just check the option box when ordering and either upgrade your standard OP reflector to the SMO reflector or include both OP and SMO reflectors. Battery Configurations: Powered by 2x 18650 Protected battery ONLY (sold separately). DO NOT use CR123A or unprotected batteries. To order, use “Add Firearm Mount” or “Add Remote Pressure Switch” pull-down menu above. Just an addendum; I only gave a four star rating….I’m Canadian, there’d have to be a free bottle of beer included to get Five stars. I work night shifts security and bought the PRO TANGO U2 EX. I’m very pleased with this flashlight, right out of the box I could tell this was a well put together piece of work. A few months ago a co-worker was showing me her light, it was the Bell and Howell Tac light and she was so proud of it, I can’t show her the PRO TANGO U2 EX as it will crush her but if she or anyone asks (and I’m sure they will) I’m absolutely endorsing the PRO TANGO U2 EX . I’m happy to pay (US/CDN exchange) more for a quality tool and PRO TANGO U2 EX is that tool. While awaiting delivery of my PRO TANGO U2 EX I emailed the head Flashlight Freak Howard several times and always got a rapid reply which makes me confident with regards to MF standing behind their product. Thanks Monster Flashlights! Bought about two months ago; first thing I noticed was the base screw threads were off. The threads would only make contact with the last few rings and made me worry about its’ water proofing. This was soon forgotten as I was extremely happy with the Lights performance!!!! Only when I needed to replace the batteries that when removing the base I found that the threads had been striped. Being very familiar with equipment, I know I did not apply enough force to strip the threads. I notice that the reflector was cracked. I have contacted MF and was told to mail in for warranty work and will post back with my repair cost and overview. I was hoping to find a flashlight company that would be a keeper after buying a few from Amazon. Not only is this flashlight amazing, the customer service is as well. I had a question about the details of how the batteries charged and sent an email to the boss of the company. Not only did he reply, but he did so in depth and extremely fast. He knows his stuff. The flashlight is incredible, I am a customer for life. The flashlight is extremely bright, has rechargeable batteries, the shipping was ultra quick, and fits in my pocket for walks at night in the city. Even if the light doesn’t stop them, it feels like a small mace in my hands. I also go camping a lot and have had no fear of beating this flashlight up or getting it wet. As soon as I can save up the money I want to buy the 4800 lumen powerstar! You will never regret buying from this company. 5 years ago my father asked what I needed for Christmas. I am an Agent with the Border Patrol in Texas. 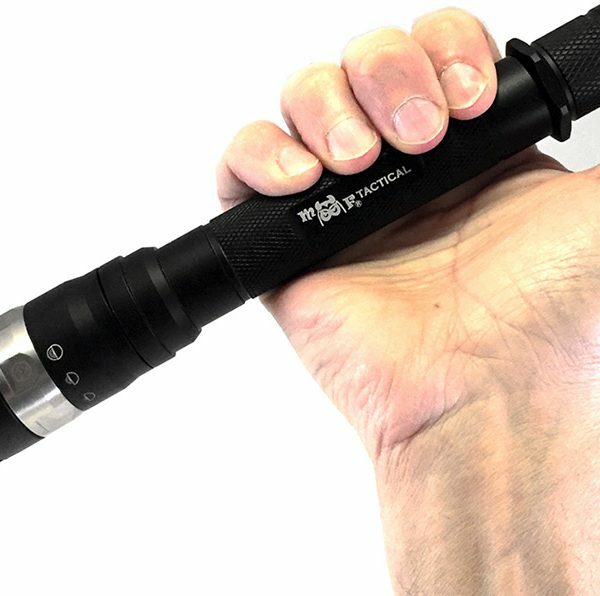 I mostly work at night and needed a flashlight that was durable with a long life as I track illegal immigrants for several hours. The flashlight that the government issues us only lasts between 1 and 2 hrs with a charge time of several hours. Not good when you need a light that last 6+ hours. My father bought me the R5-350-5C as a gift based on its great reviews. Ober the last 5 yrs it has never let me down! I have beat it to death, drowned it water, and used it almost every day on duty for several hrs over the last 5 yrs with zero failure. Several other Agents have seen its durability and longevity and ordered your product as it is superior to the issued flashlight. I decided to upgrade to the 2 cell light with more lumens and look forward to many years with my new flashlight. Every Agent that has purchased your light upon my recommendation has been very pleased as well. Besides our gun belt the two most important things we can have in our arsenal is a dependable flashlight and good boots. I will continue to recommend your flashlight to fellow Agents! 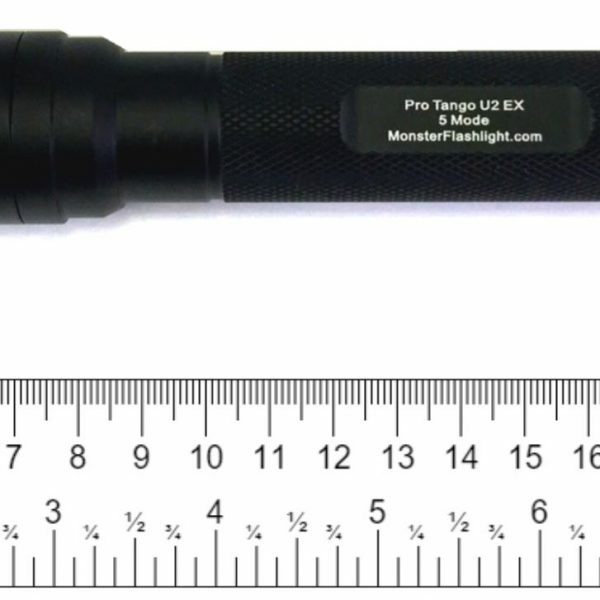 I have owned numerous flashlights in my lifetime but had never spent over $100 for one until I purchased my Pro Tango U2 EX. This blows all other flashlights into the weeds, or I should say the proverbial darkness. Top quality all around ! Customer support answers all questions without delay. A great company to deal with and purchase high quality flashlights from and one that I would recommend to all my family and friends without hesitation. Keep up the great work ! Wanted to take a minute to thank everyone at Monster Flashlite for there professionalism in fixing and returning to me my flashlite. Doing business with a company that stands behind there poducts and there word is lets say refreshing and just great. Hats off to you. After damaging my flashlite (yup my fault) i was told to mail it in and someone would take a look at it for me. Not only did you fix my lite you supplied me with a new carring case as the stiching was coming apart on the old one, mailed it back to me in a timely fashoin and did this all for No Charge. Thats what i call a good company. Best flashlight I have ever owned. Makes me even more excited to order the PowerStar one day. 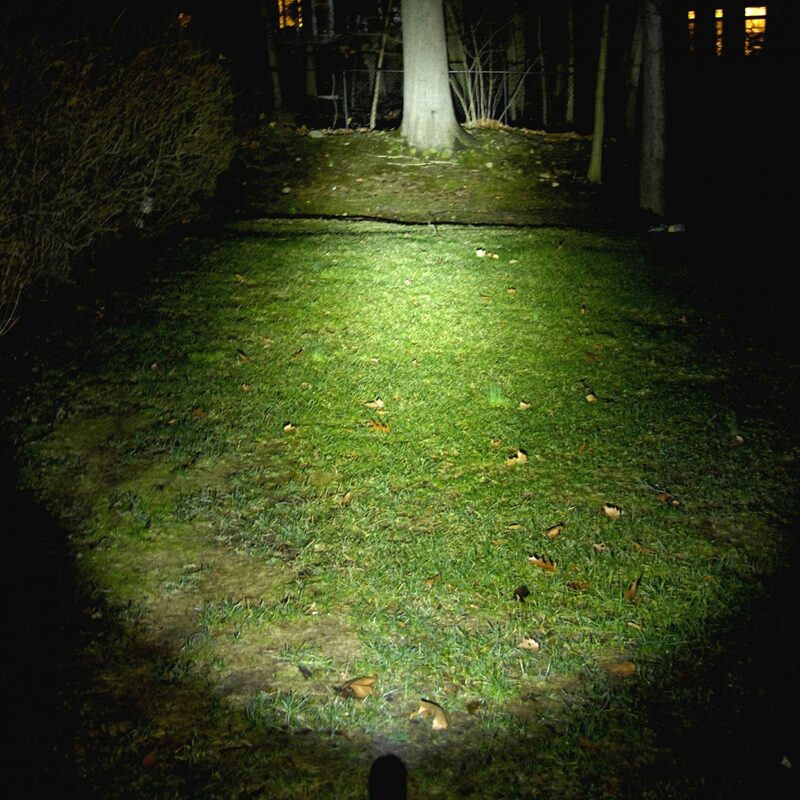 This flashlight pierces through the shadows in a forest, and with its shock resistance and waterproofing gives me the comfort to know it can handle the trail. 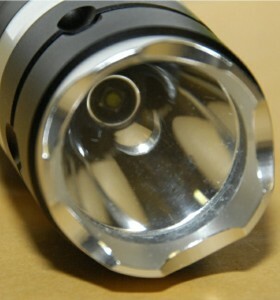 It is a solid, well built, quality flashlight. It really is worth more than it costs. Howard is amazing, I have emailed him twice with questions and within 10 minutes he has replied back with intelligent, well experienced answers. Only a small company like mf tactical could have such good customer service and a nimble product line. It is companies like this that actually give me hope for the future, keep it up Howard! I love this flashlight. I use it hunting, replacing the lense with the green lense to get to my blind. I keep it in my truck during the winter and on my snowmobile for incidentals. I was recently on a trip to the north shore of Minnesota snowmobiling. I kept the pro tango in a bag and due to the whoops it broke the glass. We came across a fellow snowmobile friend who broke down due to over heating…damn mice. Cleaned the air intake and spark plugs, got him going again. It was still bright as hell. You need to buy batteries and a charger. Small cost, you can charge batteries anywhere, home, car, 12v accessory on your machine. To me, it’s the most useful light I’ve ever used. Addendum, I had an issue with a part I couldn’t find. I emailed the company, got the owner. He got back to me with the correct part number to get my missing lense. No joke! Thanks Howard! Nice flashlight. Very bright, nice features. Easy rotate bezel to navigate through the modes. Strong yet not heavy. The only thing I’m not a big fan of with this particular flashlight is the tail cap power on/off. This light is the better part of a foot long, and I just think it’s too long for a tail cap switch. I would definitely recommend this light though. Made In USA (even though the company doesn’t put this on the flashlights or the box) is a must for me. Comes with a wrist lanyard as well. This blows away anything I’ve ever had. This is my first LED flashlight, and I really like it so far. Thanks!! 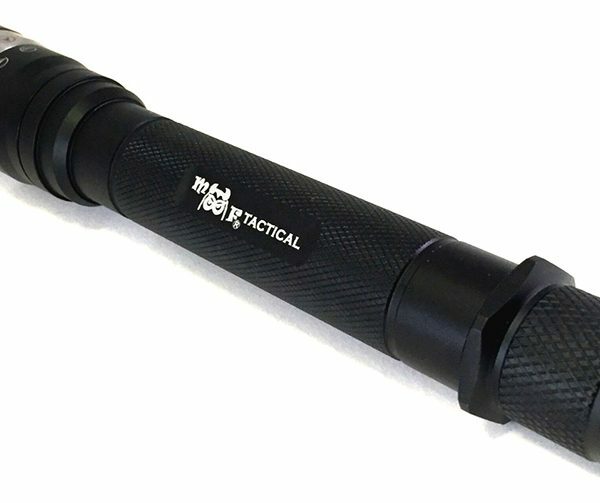 Just ordered my 3rd MF Flashlight the Pro Tango U2 EX. these are simple the best flashlights on the market period! Thanks for putting great producta on the market, we appreciate all you do for us flishlight freeks. A friend had the Pro Tango U2EX I just purchased, and having used his a bit is why. As an aircraft mechanic & inspector, I have tried many lights over the years. Most were left wanting in one way or another. Usually to get good light that would last I had to buy a bigger flashlight. This one however, seems to be the best for what I need. Small enough for small spaces, light weight enough and easy to handle, plus plenty of long lasting power, and an adjustable brightness to fit the situation. Very much worth the cost. The X-Ray, with 1750 max lumens, is the best value from our “big boys” category with the perfect balance of power, size, efficiency and run time. Just 5-1/2″ long and with a wide and deep reflector, the 5 oz. 1300 lumen max Delta-5 is now our brightest single battery light. With a powerful magnetic base and tail cap side mounted electronic switch, Delta-5 is an advanced lightweight powerhouse.